Ah, the TNT. Ever since I saw it for the first time outside Klagenfurt Airport in Austria, I've had a soft spot for it. 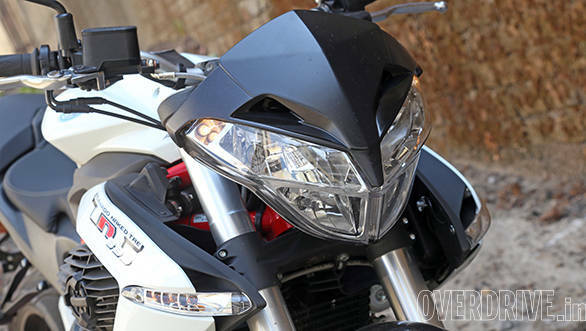 I rather like its bug-eyed insect-y look and the promise of an unreleting Italian motorcycle. 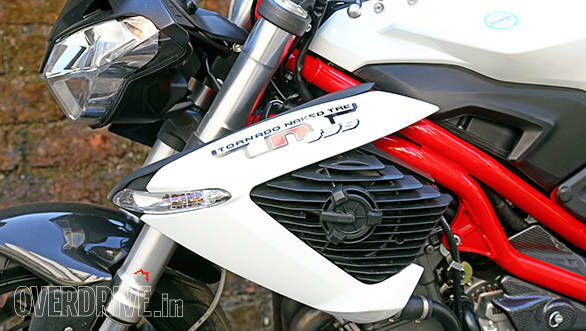 The original, which dates a long way back had the big 1130cc triple but the smaller 899 that came out in 2008 wore a version of the Tornado (900) engine. And arguably it's calmed the motorcycle down a bit and made it a lot more friendly to ride. 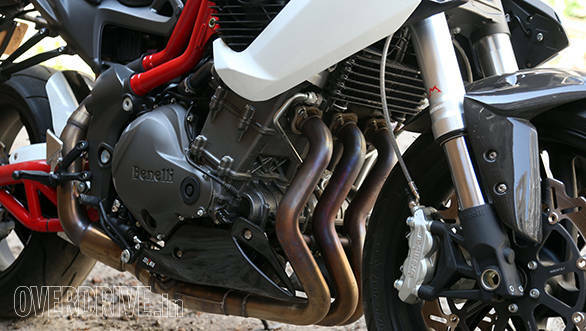 The TNT was Benelli's line of sporty naked motorcycles that were created under the Merloni group's era. The original 1130 was considered a hard man's bike because of its propensity of turn, the surfeit of power into wheelies and general assorted madness. In 2008, The 899S showed up. 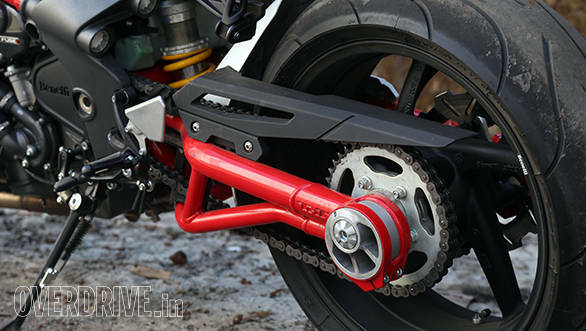 The bike wore a 899cc ex-Tornado engine that produced 118PS at 9,250rpm and 88Nm at 8,000rpm. 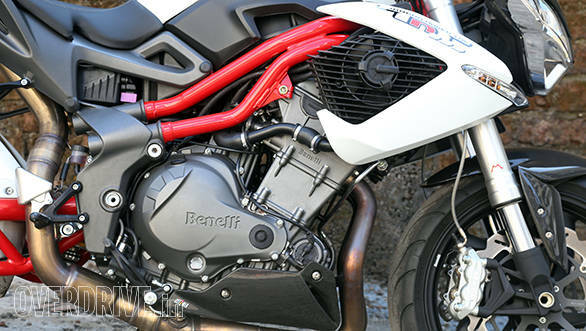 As usual, Benelli used their lovely twin tubular spar frame that connects to a similar looking swingarm with a trellis brace near the pivot point. The overall impact is dramatic. Today's motorcycles are smaller and in that sense the TNT looks a bit large. But the bulging tank, massive headlamp pod et al, still look like a fresh, distinctive design. Finish and build levels are pretty good and we are told anecdotally that the quality and reliability have both improved since the QianJiang, the new Chinese owners invest in the brand. It's a thriller. 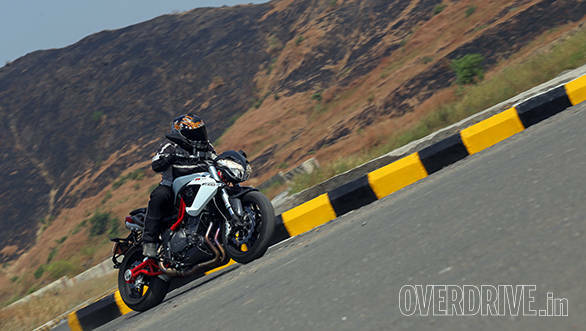 The TNT does have rough edges but it's a strikingly emotive motorcycle to ride. At idle, it'll sound a bit horrible. The twin radiator fans kick up quite a cacophony while the triple has its own gruff voice. 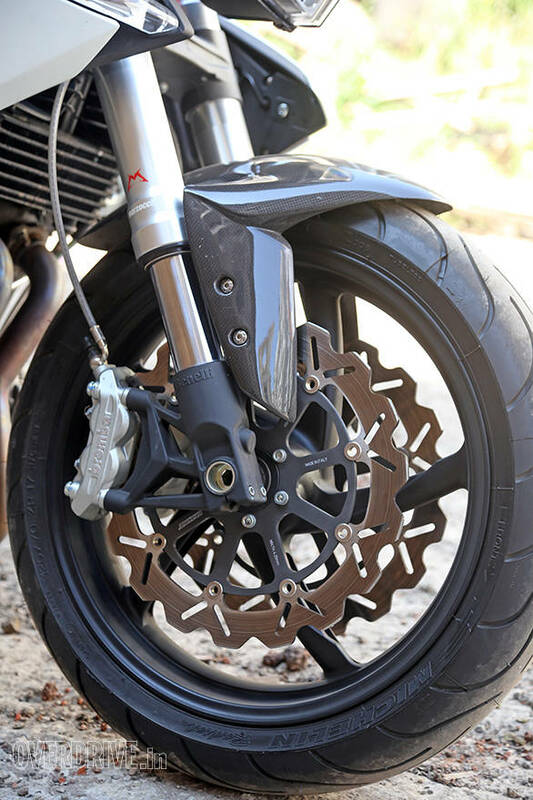 I was reminded strongly of an early Ducati sportsbike where the dry clutch, similarly, made a racket. On the move, the TNT sound great. And if you hold the throttle open, you'll hear a terrific intake roar as you approach the redline. If you do hold the throttle open like that though, prepare for intense acceleration. The TNT is very fast and you will see upwards of 180kmph very, very easily. On the flip side, unlike the BN600i, the TNT 899 doesn't ever feel gentle. 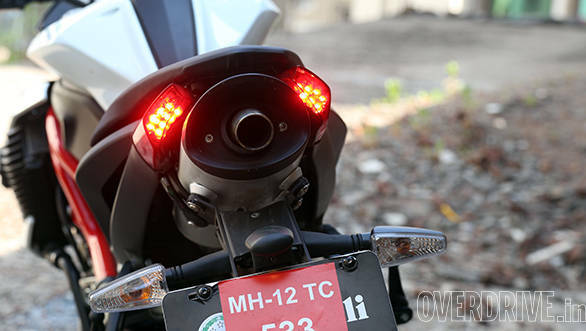 Power arrives in a hefty gush and everything you do on the bike produces fast reactions. To a skilled rider, this will be rewarding but newer riders will have to learn the bike a bit. Luckily, the rest of it isn't as intimidating. The TNT happily acquires severe lean angles and feels quite secure at high lean angles. On the other hand, ride quality isn't plush but extremely sporty. Which is not unexpected but if I bought one, I'd work towards finding a softer setup for town work and a much harder setting for the racetrack. 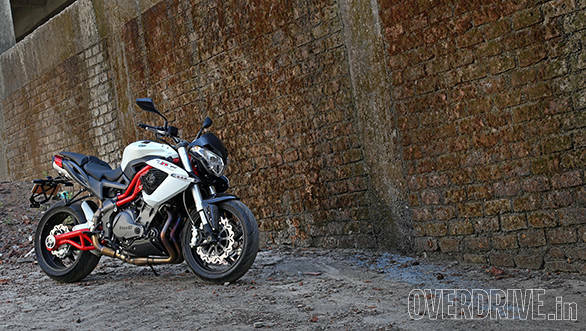 DSK Benelli intend to open seven dealerships by December 2014 and the motorcycle will be on sale around that time. Will the TNT be a CKD? Chances are that it will be and in which case my guessimate for the price would be between Rs 7-9 lakh. For the money, you'll get a super sporty naked that looks like nothing else, sounds terrific and goes like the blazes when you want it to. 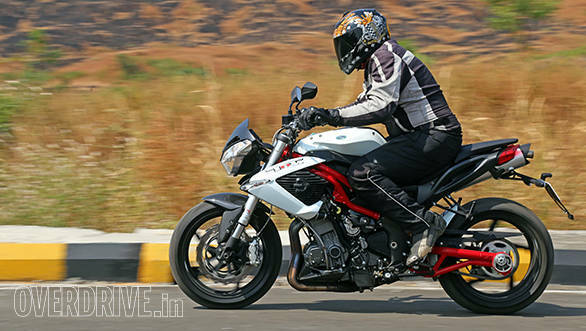 What remains to be seen is how much the Indian homologation process affects the engine tune and what the final price is.